We’re inching (to me it feels more like sprinting) ever closer to a new year. I like to think of December as an especially contemplative month. It’s a time to be thoughtful, to enjoy some quiet moments reading and reflecting on a good book. And then it’s time to run off and buy Christmas presents because ALL OF A SUDDEN IT’S LESS THAN TWO WEEKS AWAY HOW DID THAT EVEN HAPPEN. So this month, I’m tapping into that thoughtful spirit and creating some discussion questions for one of my favorite picture books. 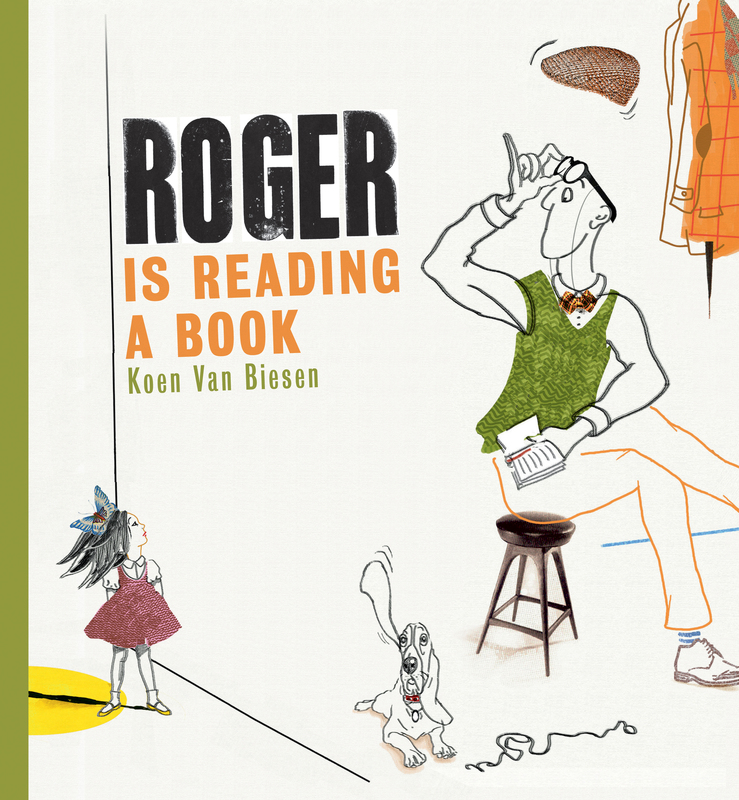 Roger Is Reading a Book tells the story of Roger, who, you will be unsurprised to learn, is reading a book. Or at least, he would be, if it wasn’t for his next-door neighbor Emily. Because Emily has hobbies of her own—singing, boxing, playing the drums, etc. Everyone who has ever lived in an apartment building and wondered what on earth their neighbors are doing to make that noise, this book is for you. There’s a lot to like about this book: the humor, the unique art style, the clever endorsement of reading. And despite the fact that the text is simple, there’s a lot going on in the story, so it holds up nicely to multiple readings. Here are some questions to help you get the most out of those reading sessions. Look at the pages that show Emily’s room. Are there visual hints as to what’s going to happen later? What about Roger’s dog? Does he give you clues as to how the book will end? Think about a book that you would give to a friend. What book would it be? Why would you want them to read that particular book? Emily has a lot of hobbies, some more unusual than others. What’s your favorite hobby? Do you have any unusual hobbies? At first, Roger is annoyed with Emily for making so much noise. But instead of yelling at her, he gives her a present, which causes them to become friends. Has there been a time when you reacted in anger? What might you have done differently? What do you think the outcome would have been? And, if you want even more quality time with Roger and Emily, check out the craft below that lets you make your own version of the story. Happy learning! Step 1: Read the book. Step 2: For each child, print out one copy of the cover and 3-6 copies of the sample Roger Is Reading a Book interior page, both found here. Step 3: Staple the cover and interior pages together as indicated. Step 4: Fold both ways along the dotted line to create the “spine” of your book. Step 5: Personalize the alternating pages of your book by choosing, drawing, and writing about your own favorite disruptively noisy activities. Step 6: On the final spread, end your story with: [Your name] is reading a book. Roger is reading a book.